As imaging technologies expand to include image-guided anatomical navigation and surgical techniques evolve to accommodate increasingly complex interventions with minimally invasive approaches, interventionalists and surgeons have convened in a novel area of hospitals around the world, the hybrid operating room. Although these assets have long been used for cardiovascular procedures, the integration of these tools in a designated surgery suite has given rise to a variety of novel interventions and multi-specialty collaborations. In this review, we highlight current international hybrid room experiences in many fields, spanning from neurosurgery to urology. We also comment on our institutional journey of surgery-interventional radiology collaborations in developing our image-guided surgery program for a pediatric population. As the hybrid operating room continues to gain traction globally, surgeons and interventional radiologists’ creativity and collaborative problem-solving skills will continue to be pushed to improve patient care. Identifying practice gaps and collaborating with industry is vital for further refinement of these tools. 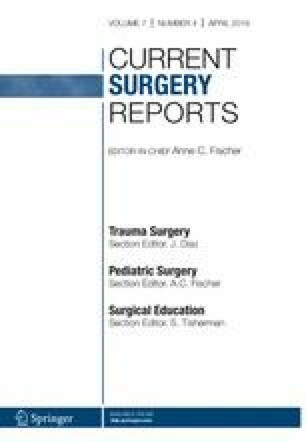 This article is part of the Topical collection on Pediatric Surgery. Alejandra M. Casar Berazaluce, Rachel E. Hanke, Daniel von Allmen, and John M. Racadio declare that they have no conflict of interest.